Cleanup of Piedmont Park’s Lake Clara Meer continued Tuesday as workers scooped up thousands of dead fish in August’s brutal heat. Why bother? Paul McCartney and dead fish—perfect together. 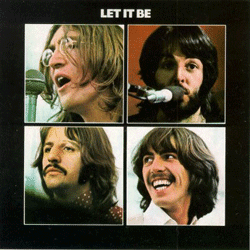 As a kid, the first album I ever traded back to a record store on Telegraph Avenue was Let it Be. It stank. And I stopped listening to McCartney then and there. Phewey. Lake Clara Meer? Let it be. A possible new concert venue for Sir Paul: Carlsbad, New Mexico. Ebony and ivory and golden algae. Hmmm...well I won't be in town Thank God. Won't have to listen to the hype and then the rhapsodizing. They did move the start time back an hour but it's been really HOT here. Have fun y'all! I've heard that the ticket sales, uh, stink too.